Make a bold fashion statement with this 72" individually-knotted strand of Baroque shaped fresh water pearls approximately 10mm in size. 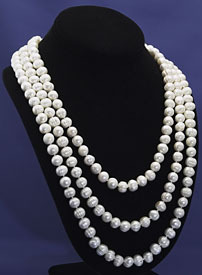 Each pearl is uniquely shaped, showing Nature's true artistic ability. There are approximately 190 pearls in this necklace. You can wrap as shown for a three strand look, wrap twice for a two strand look, or wrap once with a big knot. Make up your own way to wear this necklace -- it gives you the ability to show off your fashion talent. The necklace is one single 72" strand without a clasp. 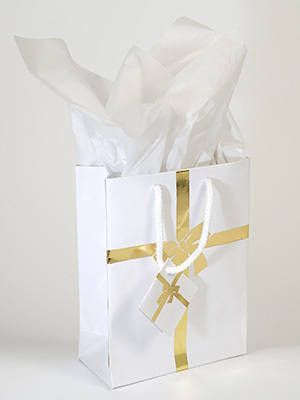 Comes with a large silky pearl purse suitable for gift giving. Click here for a definition of baroque.